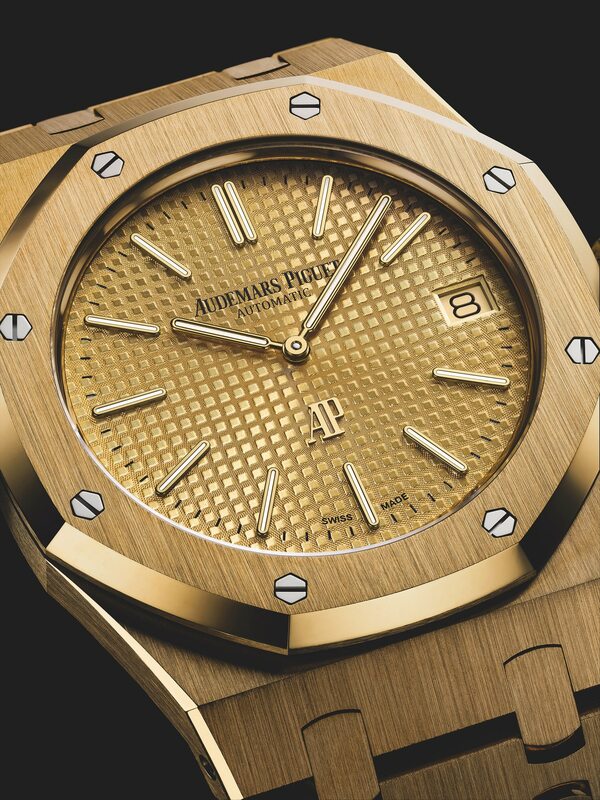 Audemars Piguet's most popular models, Royal Oak Ultra Thin Ref. 15202 now have an 18K yellow gold case and a bracelet option. 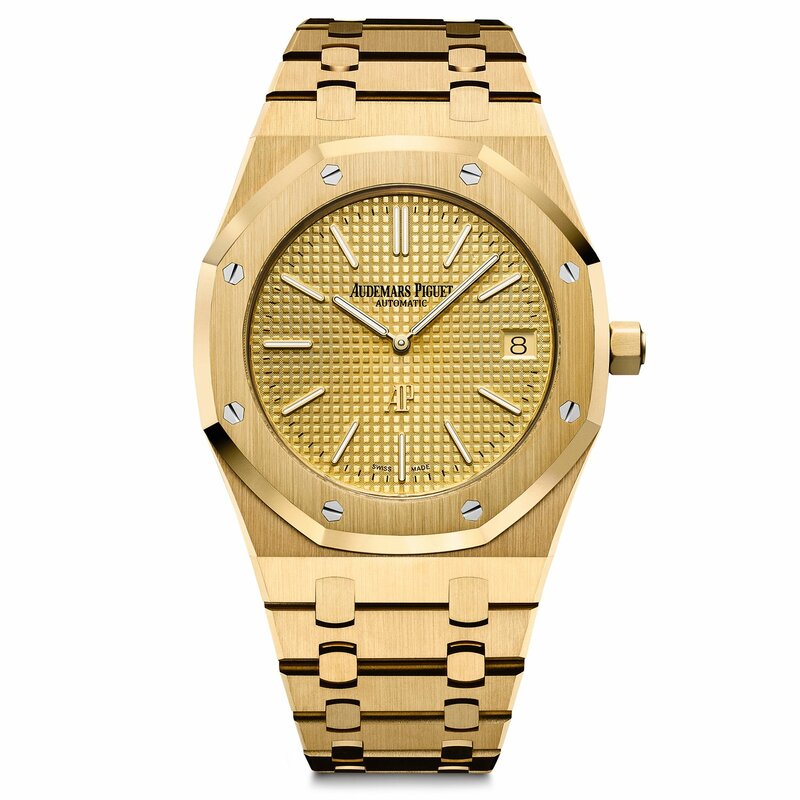 The model’s 39mm case and bracelet are made of 18K yellow gold. 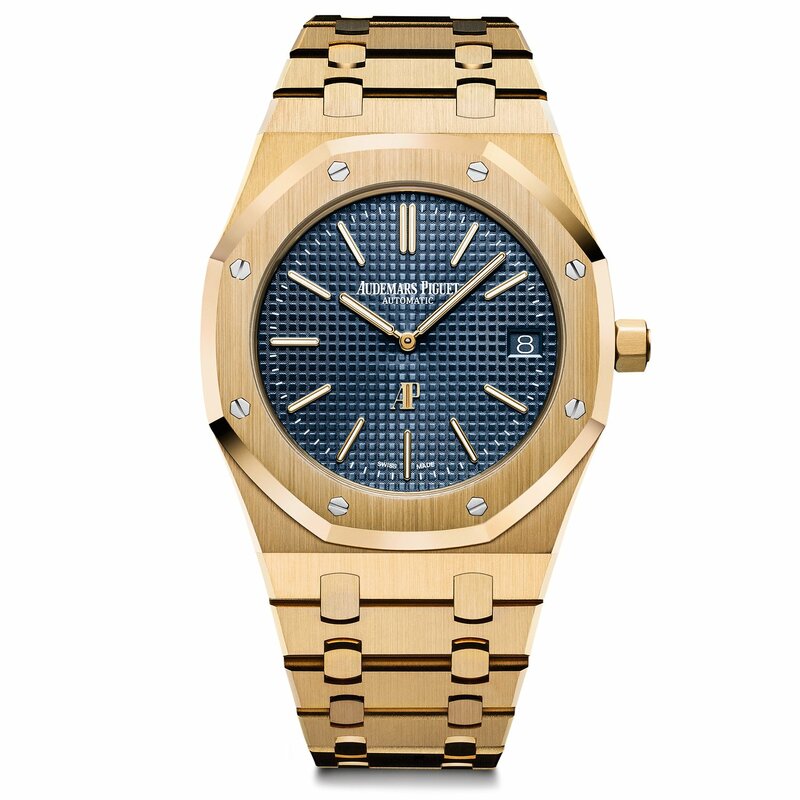 Audemars Piguet Royal Oak Ultra Thin 15202 "Yellow Gold" comes in two different dial colors in blue and gold tones. The date window is located at 3 o’clock. Thanks to the date wheel’s background colors which match with the dial’s, the date window nicely blends with the dial. At 6 o'clock, there is an AP logo made of gold. The new model is powered with Caliber Ref.2121. The self-winding movement is 3.05mm thick and carries the same characteristics as the caliber that gives life to the Royal Oak model produced in 1972. 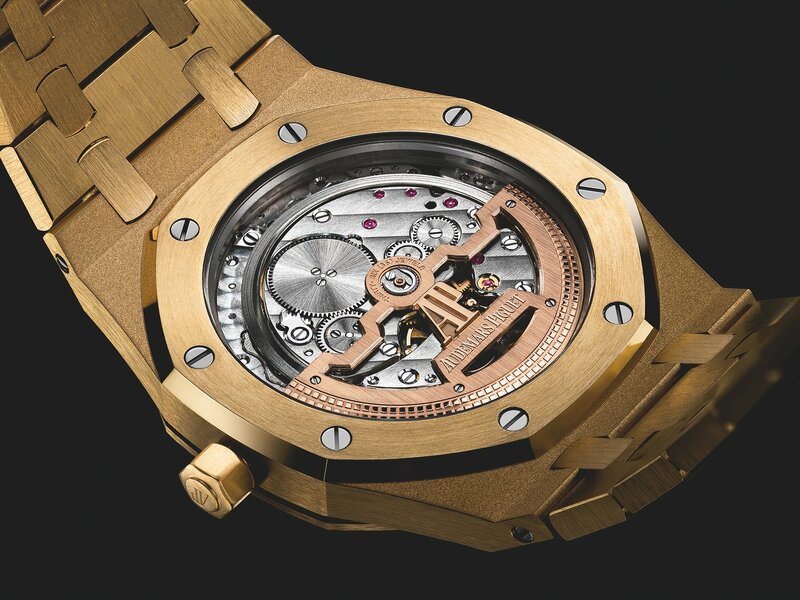 AP Jumbo, which won the hearts of the watch aficionados with its stainless steel and pink gold versions will surely be highly appreciated with this new 18K Yellow gold model as well.